BEIJING - Businesses ranging from cookware to karaoke in China's teeming capital have temporarily shut down as the ruling Communist Party prepares to hold its most important political event of the last five years. Fitness centres, short-term rental websites and even online retailers told AFP on Monday that they would not be operating in Beijing during the 19th National Congress. The meeting, at which President Xi Jinping is expected to cruise to a second five-year term, officially opens on Wednesday. But many businesses have already closed up while a heightened police presence has descended on the capital. Wang Feng, a salesman at Focus 24 Hours Fitness, said the gym would be closed from October 14-25 to "welcome the Party Congress", echoing the language on bright red banners hung across the city. Employees at four entertainment venues -- Mr. 13 club, Kaixingguo ("Pistachio") KTV, Club Mix and Changba KTV karaoke bar -- likewise said they would not open again until the end of the month. "All the clubs and KTV (karaoke bars) in Beijing have been closed during this time because of the congress," a manager at Mr. 13 told AFP, adding that they were ordered by the government to do so. Some business suspensions were aimed at preventing people and potentially dangerous objects from entering the city. 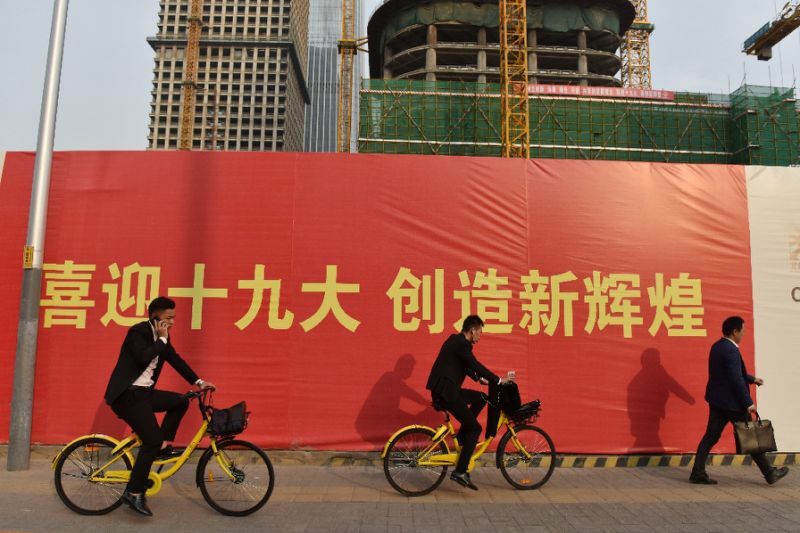 Searches on Xiaozhu and Mayi Duanzu, websites which offer short-term rentals, turned up "no results" in central Beijing for dates from mid- to late October. Several online kitchenware retailers, including Zhao Xiaoquan and You Da, said delivery companies had informed them they would not be processing knife and scissors orders destined for Beijing during the congress. More than 2,000 Communist Party delegates from across the country are slated to arrive in the capital in the highly choreographed event to pick members of the 205-person Central Committee. Businesses ranging from cookware to karaoke in China's teeming capital have temporarily shut down as the ruling Communist Party prepares to hold its most important political event of the last five years.